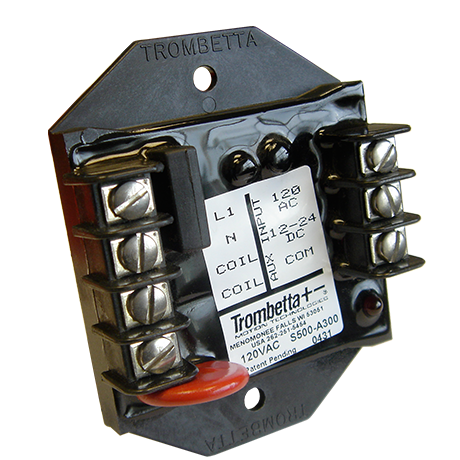 Trombetta's Electronic Controls for solenoids regulate the magnitude of electrical drive applied to the coil during the pull-in and/or hold operation of the solenoid to optimize the performance of the solenoid. By using these modules, customers can benefit from employing smaller solenoids than would otherwise be needed to generate the forces necessary to perform the application actuation. All control modules use Pulse Width Modulation (PWM) switching to achieve high operating efficiency. 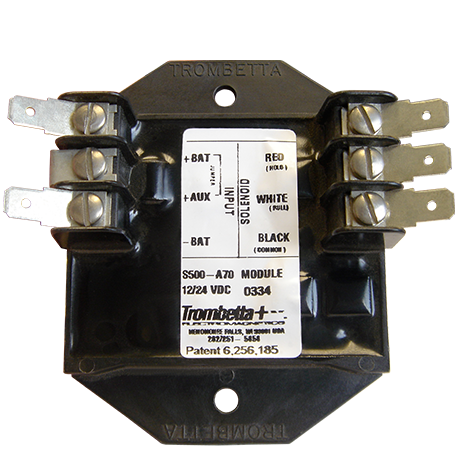 By using Trombetta's Electronic Controls, customers can benefit from employing smaller solenoids than would otherwise be needed to generate the forces necessary to perform the application actuation. Electronic controls for dual-winding solenoid applications. 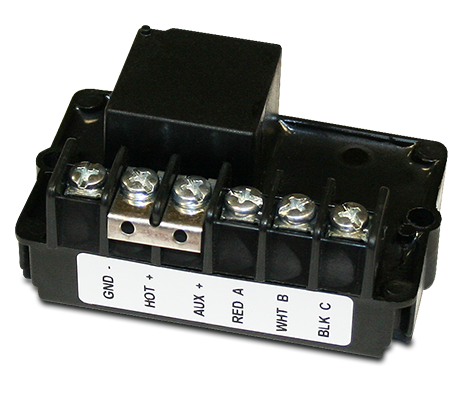 These modules accept your 3-wire switched input (12 or 24V) and apply this input simultaneously to both the solenoid pull-in and hold windings. The relay then removes power from the pull-in coil and leaves only the hold-in coil energized to prevent coil burnout. For more information, please click on the image. and dimensional drawings in pdf format.